Everton host Fulham on Saturday in a fixture that the Blues have dominated since the Cottagers promotion back to the Premier League, with 11 home wins out of 11 against the West Londoners. The full record is even more impressive, with Fulham never having won a league fixture at Goodison, with their last 19 league visits to Everton, stretching back to 1960 all ending in defeat. David Moyes has a close affinity with Fulham, with his first game in charge of Everton ending in a 2-1 victory for the Blues over the Cottagers. On that day, David Moyes was the youngest manager in the Premier League, now in his 12th season in charge of Everton, Moyes celebrated his 50th Birthday earlier in the week and will be looking to celebrate with three points to re-ignite the Blues push for Europa League football next season. The game will be a poignant affair, with the match the closest to the anniversaries of the death of two Everton legends, Alan Ball and Brian Labone. 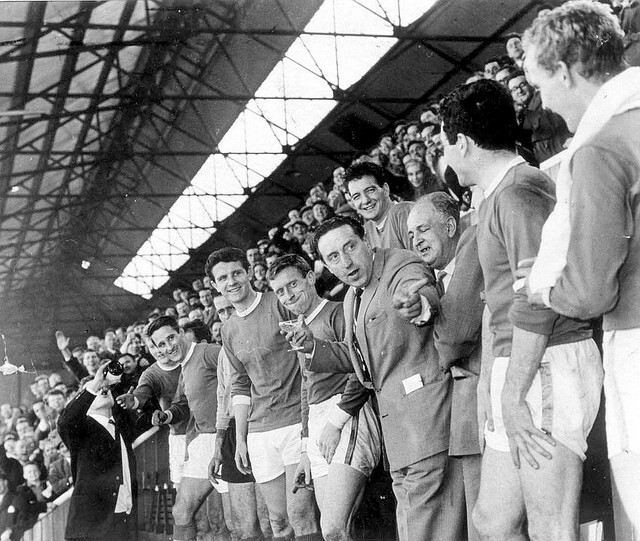 The club will commemorate the 50th anniversary of Harry Catterick’s Championship winning team, who celebrated league glory in 1963, with centre back Labone an integral member of the team. Many of that successful side will be present at Goodison, with the club planning a number of initiatives in recognition of their achievements. The current crop of players will be looking to get back to winning ways after the disappointment of defeat in the last match away at Sunderland. Everton failed to play anywhere near their potential at the Stadium of Light, which was particularly frustrating given the impressive performances at White Hart Lane and the Emirates. David Moyes will again be without Phil Jagielka, who is in danger of missing the remainder of the season with the re-occurrence of the nasty gash he originally suffered against Reading. Victor Anichebe is also struggling to make this fixture, with a hamstring injury likely to keep him out of the side and present Nikica Jelavic with a chance to impress. Ross Barkley is tipped for a re-call, with Marouane Fellaini likely to occupy a deeper role in front of the back four with both Gibson and Osman carrying knocks. Expected Team: Howard; Coleman, Baines, Heitinga, Distin; Fellaini, Gibson, Mirallas, Pienaar, Barkley; Jelavic. Our archive video footage comes from the Championship winning side of 1962-63 and the Goodison derby from that season. The game finished 2-2 in front of a huge crowd of 72,488 packed into Goodison to witness the action. Roy Vernon and Johnny Morrissey scored for Everton. Previous Post Early start to the transfer rumours and we don’t even know who our manager is yet!! !